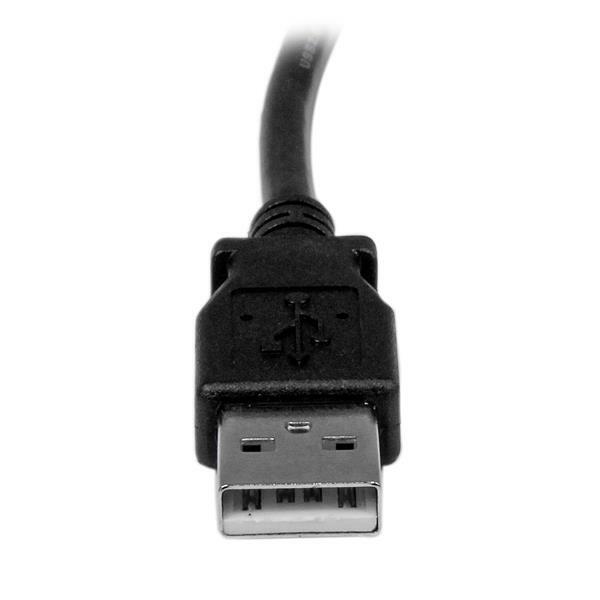 The USBAB2MR 2-meter USB printer cable features one USB 'A' male connector and one right-angle USB 'B' male connector, providing a high-quality connection to USB 2.0 peripherals. 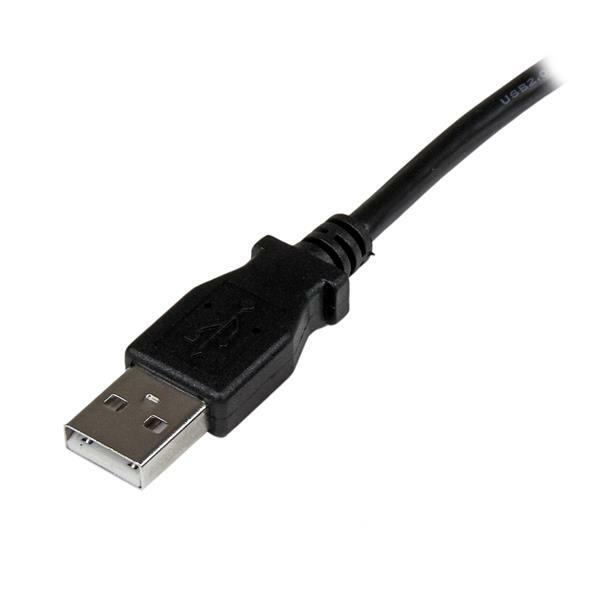 The right-angled USB ‘B’ connector allows you to connect to your hard-to-reach USB 2.0 printers, scanners, external hard drives, etc. 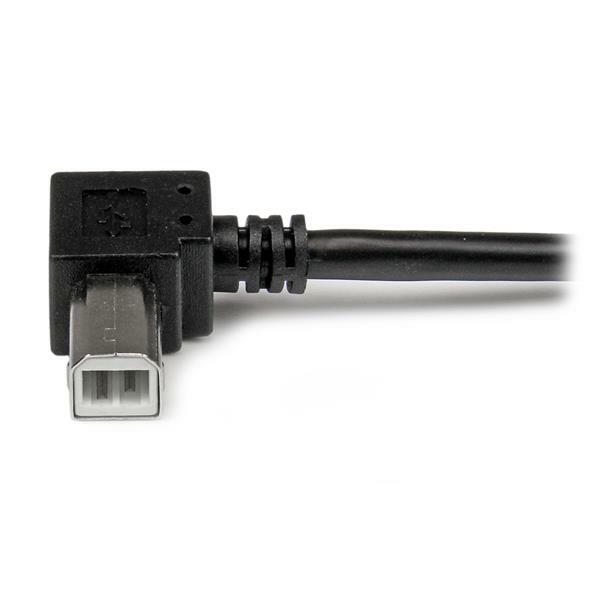 and enables installation in narrow spaces. 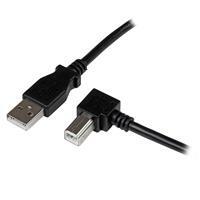 As an alternative, StarTech.com also offers a 2m USB 2.0 A to Left Angle B Cable (USBAB2ML), which provides the same convenience as this right-angled cable, but allows you to connect to your USB device from the opposite direction.